Remodeling and/or Renovations to your whole home can be an intimidating project for any homeowner because it really is a major under-taking depending on what you’re planning to do with your home. For many Central Wisconsin families a whole home remodel might be the best way for you to continue living in the home you currently are without having to sell and move into something more suitable… We’ll make your current home suitable. Generally whole home renovations are often less expensive then selling your existing home and buying a new home and the plus side is that you could end up with exactly what you’re looking for in a home, without going through the home buying/searching process. You’ll also be able to recoup a great deal of your investment in the increased resale value of your newly remodeled home. Abel Complete Construction has years experience in the home building and complete home remodeling industry. We can handle all aspects of your whole home renovation project, from the initial planning phases, pulling all necessary permits, right down to the final finishing items like trim, paint, flooring, lighting and more. The age of your home, and the condition of the existing structure along with the zoning in your area will determine exactly what we can do for you and that’s where experts like Abel Complete Construction become your most valuable asset. Abel Complete Construction has assembled a team of highly skilled and competent tradesman who take great pride in their finished projects, and the new look they’ve given your home. The insight and attention to detail we can provide you will be one of the reasons you eventually choose us to renovate your entire home. 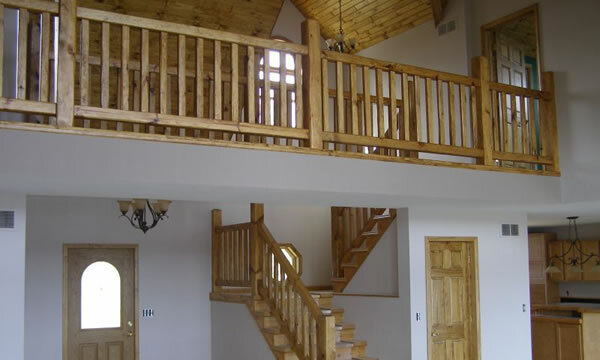 We understand that you have many choices when it comes to choosing a contractor to complete your whole home remodeling project in Central Wisconsin. We just want you to know when you choose Abel Complete Construction to help you with your home remodeling project you aren’t just hiring a remodeling contractor. You’re taking on a new partner with an invested interest in helping you make your home a better, safer more enjoyable place to live. We treat your home like it was our own!